For a pediatric oncology patient, a little infection can quickly turn into a life or death matter because these patients already have compromised immune systems. Patient safety and family-centered care are priorities at Valley Children’s, which is why infection prevention and safety education are magnified in clinical core and annual education for staff. A cancer patient might need frequent blood draws, nutrients and infusions, thus making a child no stranger to having one central line to administer these treatments. This central line is often placed in veins through the groin, neck, chest or arms, and while it increases the risk of bacteria or other germs entering the blood stream if not properly cared for, it is a preferred alternative to having to poke a pediatric patient for each treatment. Our commitment to patient care is evident as the Valley Children’s Craycroft Oncology Team has passed 500 days with no Central Line-Associated Blood Stream Infections (CLABSI). This success is in part fostered by the Valley Children’s Task Force Team, which has spearheaded programs to reduce any harm that could be caused by use of a central line. The Valley Children’s Task Force Team is comprised of administrators, bedside nurses, environmental housekeeping and the parent of a pediatric patient. 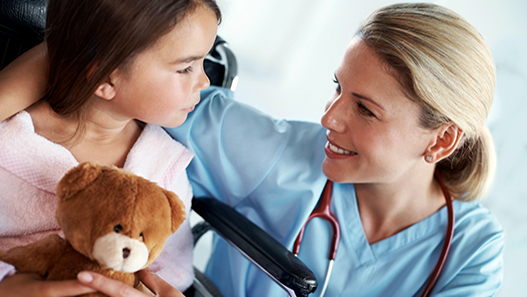 This collaborative effort is aimed at implementing programs recommended by Children’s Hospitals’ Solutions for Patient Safety (SPS) that maximize patient safety.